In Bolivia, flying a drone is obviously allowed. However, I have not been able to find any more precise regulations so far. If you can help us to find the latest regulations, please leave us a comment below. Thank you very much for your help! 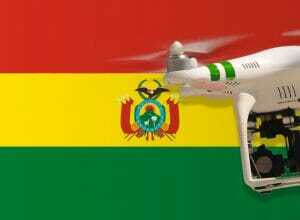 We have researched the listed drone regulations for Bolivia to the best of our knowledge. We cannot guarantee the correctness of the information. If you want to be on the safe side, contact the competent aviation authority. Alternatively, you can also ask the embassy in your country for further information about the regulations. Please leave us a comment when you receive news and/or gain experience with your copter in Bolivia!